Couple seen holding hands as they attend an Invictus Games event in downtown Toronto. 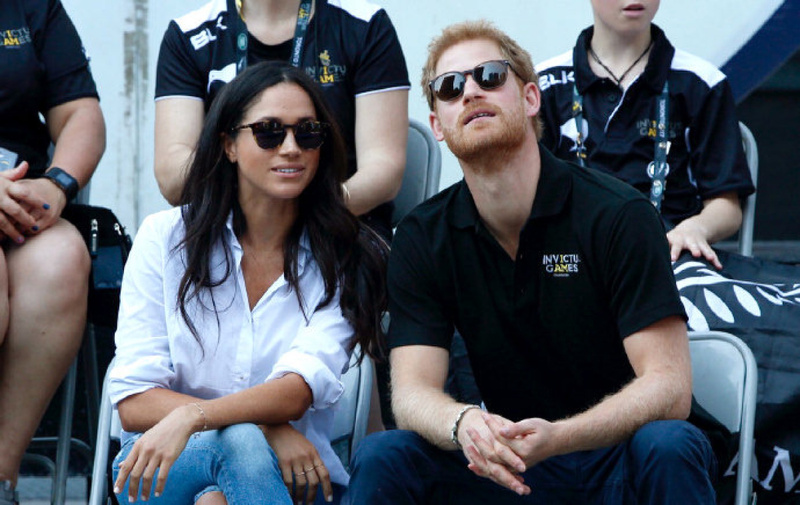 Prince Harry and Meghan Markle made their first public appearance together Monday afternoon to watch wheelchair tennis at the Invictus Games. The couple arrived holding hands to Nathan Phillips Square, for a semifinal match between Australia and New Zealand. A row of photographers stood on a balcony watching the scene from above, fixated on the prince and the actress, trying to get a shot of the pair who have been dating for about a year but haven’t been seen in public together. Fans at the match were whispering about the couple and taking photos and video of Harry and Markle. The royal couple sat right in front of the iconic “Toronto” sign at Nathan Phillips, and spoke to Australian supporters who sat next to them on the sidelines.